The Formation Zone Business Challenge is now open for entries! Enter by 1 November for your chance to win over £1,500 and six-months free business support in our award-winning incubator. The Challenge is a competition for students and recent alumni of Plymouth University, and its partner colleges, designed to help you start your business in Formation Zone at the end of the academic year. The Challenge has seven categories – Creative, Games, Health, Engineering, Environment, High-Tech, and 3-D Product Design – with each one open to any student on any course. Our workshops, drop-ins, and expert advice will help you write your business plan, with the best ones awarded prizes of seed funding for their start-up, office space, and business support. 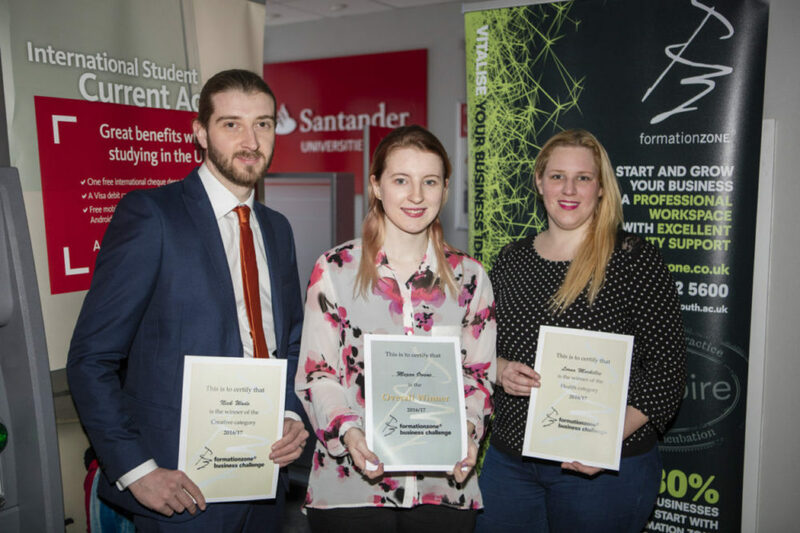 Thanks to the generous support of Santander Universities, each category winner receives £650 in seed funding, with the winner getting an extra £1,000! As well as the cash prizes, each winner receives a six-month Formation Zone package with office space, business support, and much more. Get registered for the challenge now by going to the Enter Now section in the menu above.